If you're on Instagram, I'm sharing my #100DaysOfGenealogyTips as part of The 100 Day Project. 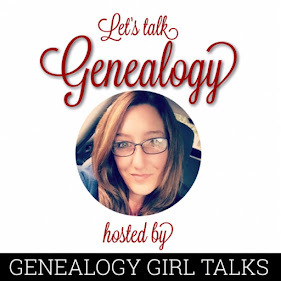 You can view them at the link below (or go to http://Instagram.com/GenealogyGirlTalks). 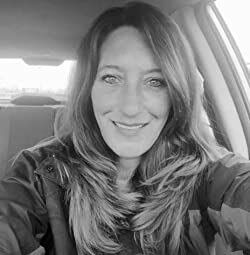 Follow me so you don't miss a post! 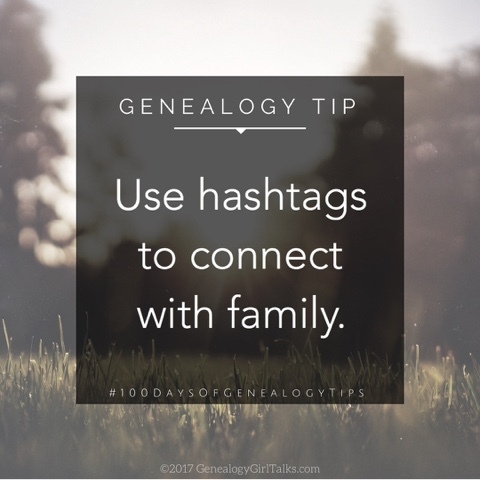 GENEALOGY TIP: "Use hashtags to connect with family." || Whichever social media platform you choose to share your family history and genealogy on remember to use hashtags so others can find you. I prefer surname and location hashtags, too. 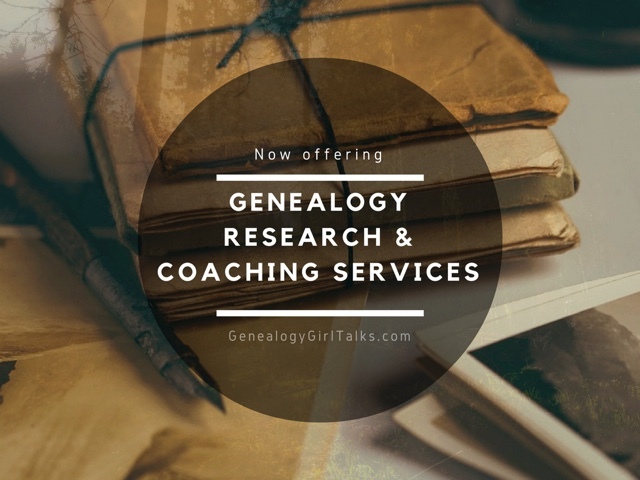 • Today is Day 11 of #the100dayproject and I'm joining with my #100daysofgenealogytips 🌼 Sounds easy enough, right? Well, consistency will be my greatest challenge!